Celebrity Big Brother: Dan Osborne to enter the house to save damaged reputation! Dan Osborne has been confirmed to enter the Celebrity Big Brother house this summer in a bid to save his damaged reputation. 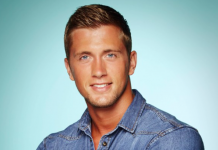 Dan Osborne is ‘returning to TOWIE’ despite controversy over stab threat allegations! TOWIE star, Dan Osborne is returning to TOWIE after recently being suspended after a leaked audio emerged leading to stab threat allegations. Dan Osborne has been ‘suspended from TOWIE’ over domestic violence allegations! Dan Osborne has been 'suspended from TOWIE' following news over domestic violence allegations with his ex. Dan Osborne has been suspended.